Maleficent is not the classic 'Sleeping Beauty' story from Disney that I grew up on. This is the darker side of the tale from the classic film from 1959, that has never been told. I did not have the pleasure of seeing the film while in theaters. However, it made a over 240 million when it was released back in May. Te story opens with Maleficent as a young girl. Living in a world of magical creatures and humans liking separately. One day she meets a handsome boy, soon after they fall in love. Years later, he commit the ultimate betrayal. Something so evil it is unforgivable. Giving us a look into why she is guarded and has sinister ways. The main focus of the movie is relationship between a young girl named Aurora(Elle Fanning) and Maleficent (Angelina Jolie). A fight for the young princess to keep her kingdom. The battle of good vs. evil. A girl's fight for the love from her father. The performance by Angelina Jolie was strong. I would not have guessed she could do a great job. Given her background in doing mostly action films. This performance changed my opinion. She was not only tough, but shows the audience a more vulnerable side as well.The entire cast was delightful. There is something for everyone to enjoy in this Disney tale. Aurora's aunts are scene stealing. Very fun to watch. Overall the movie was visually stunning, vivid colors that really pop when watching on Blu-Ray. The surroundings pull you right in. The battle scene was gripping. I found myself very impressed by the lush and colorful world in which the movie is set. Great sound and picture. I really enjoyed it. I give the film a B+ rating. Aurora: Becoming A Beauty--Ella Fanning reveals her lifelong love of Disney's original animated classic. Building An Epic Battle--Creating the clash between Maleficent and King Henry's forces. Classic Couture--Examine Maleficent's spellbinding head wraps and jewelry. 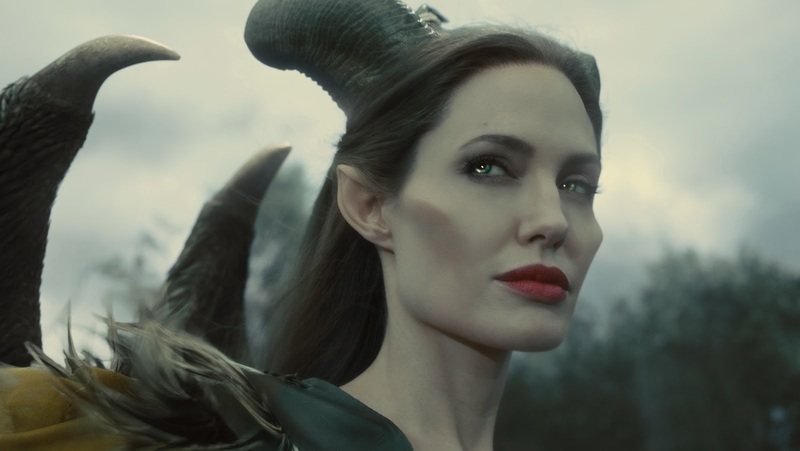 Maleficent Revealed--Explore the layers of extraordinary special effects..